Probably one of the oldest and most refined glass techniques, stained glass still continues to enchant and captivate by transforming the light and color of interiors into magical places that satisfy the senses and spirit. The craft is characterized by its delicate technical and artistic creativity. The main working tool of a master is the hands, capable of transferring an idea, a project, or dream onto glass. 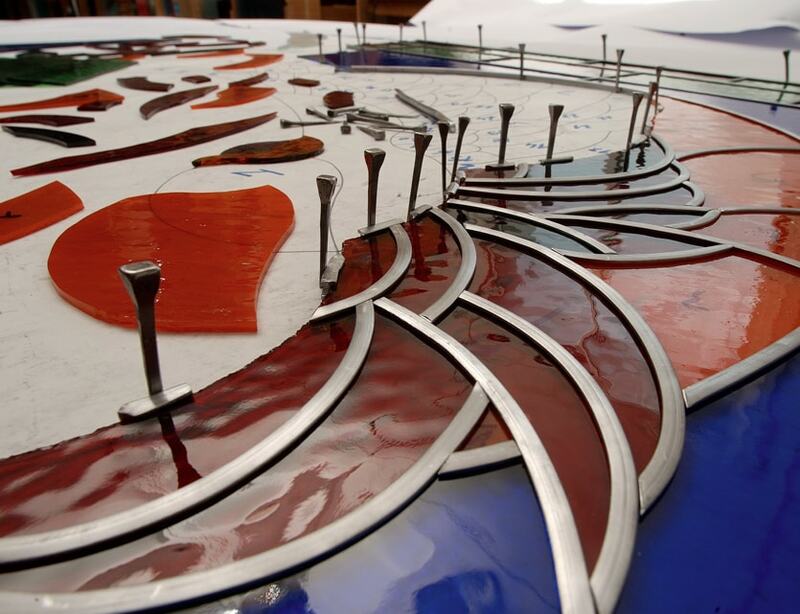 Once the pattern for a stained glass panel is created, it is then transformed into carefully cut pieces of colored glass, which are set in lead calms. Joined together within one panel, the interlocking puzzle of glass and lead ultimately produces the desired scene. Ideal for entryways, partitions, false ceilings, windows, doors, and houses of worship, stained glass offers privacy, adds color, and brings beauty into your environment.